This is a movement for the upper portion of the chest. 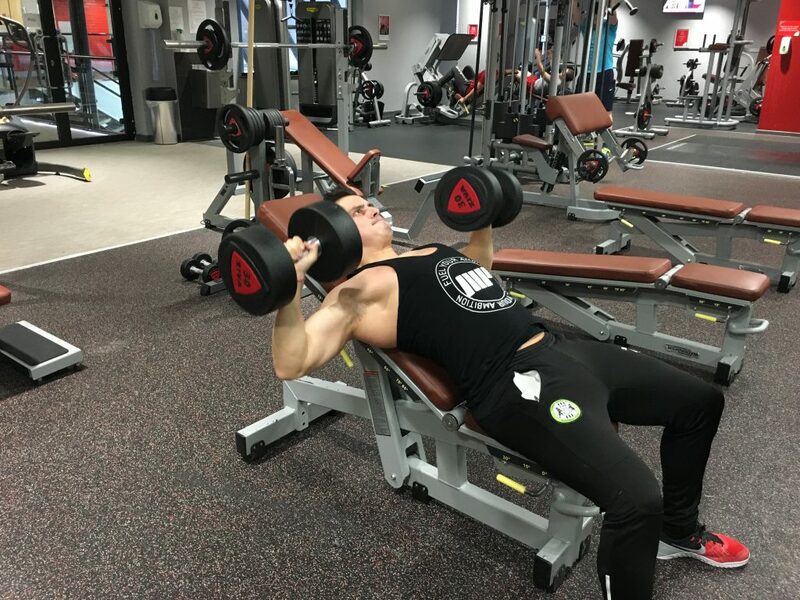 To start this movement you must first adjust the bench to a 30 degree angle and once you’ve adjusted it, pick up your dumbbells and place them on your knees. 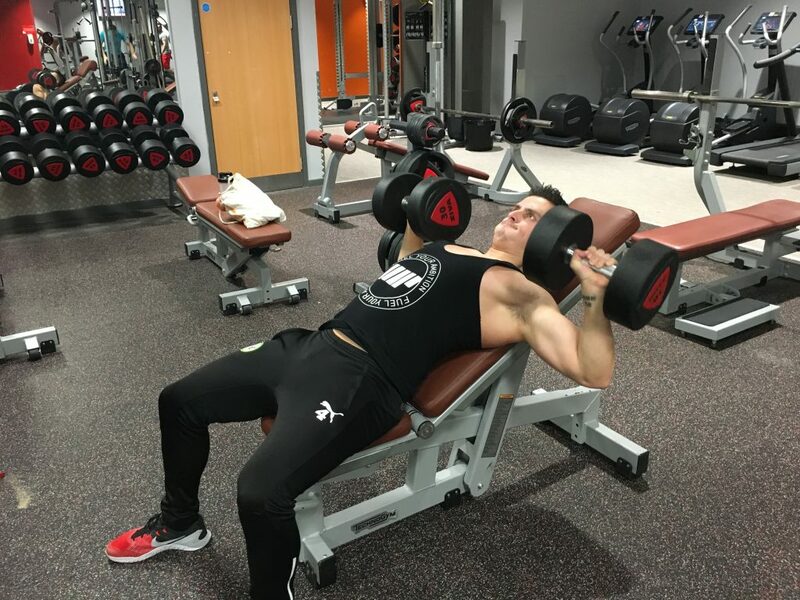 From this position as you lay back onto the bench drive your knees up lifting the dumbbells up off your knees and have the dumbbells up above your upper chest. This is your starting position. To initiate the exercise, control the weights down towards the upper portion of your chest keeping your arms at a 90 degree angle. Go as low as possible/until you feel a stretch in your upper chest. From this position press the dumbbells back up to the top squeezing the chest the whole way. Bring the dumbbells together at the top but without crashing then together. 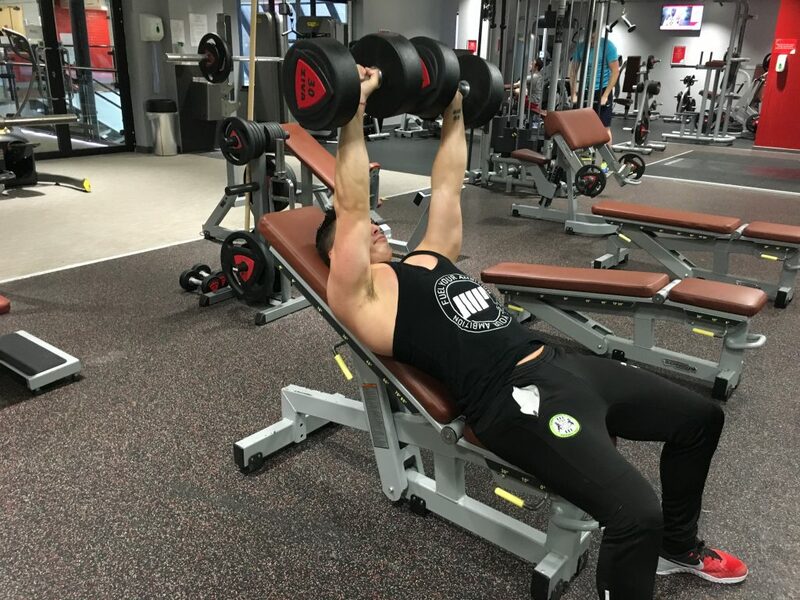 Once at the top continue to bring the dumbbells back down until the amount of reps required has been completed.